Better functionality with the Philips Hue Motion Sensor, HomeKit Accessory Notifications only when you're not at home, extra mics for the Amazon Echo? Those questions and more in this Q&A! I really enjoy your YouTube channel. I am a long time fan of home automation. Many years ago I started with with X-10. I then moved on to Insteon. My control software for Insteon was Indigo. Well, this year iDevices finally released their wall switch and I jumped into the HomeKit fray. I am physically disabled. Paralyzed from the neck down. I have no use of my arms or legs. I operate my iMac using voice recognition. When I was using Insteon modules I created events and schedules on my Mac, by voice, using Indigo. Now I'm not aware of any Mac software for HomeKit. So I've been using Home, Apple's Home, and iDevices app, with the help of others, to configure my HomeKit devices. One thing I haven't been able to figure out is how to schedule my wall switch to turn on 5 minutes before sunset and turn off 5 minutes after sunrise. Can you tell me is this possible with Apple's Home app? It definitely cannot be done with the third party Home or iDevices app. Yes, there is now the ability to use an offset time in conjunction with sunset/sunrise. But it only works in 15-minute increments. This is true across Apple's Home app and 3rd-party HomeKit apps. Do you need a Philips hue bridge with Philips hue lights or can you connect it straight to the smart things hub? It is possible, yes. But to receive updates to Philips hue smart lighting devices for new features and security releases, you'll need the Philips Hue Bridge. I'm liking your HomeKit videos - clear and well put together. I'm just starting my home up and started with the Elgato eve door sensors. Eventually I'd like them to automate lights etc. but for now it's a basic security system, sending notifications to me when a door is opened. Are you aware (either in current or iOS11) of a way to only get such notifications when I'm not at home? Thanks for your help and your videos. I have an echo I would like to connect it to a whole home audio system we are getting installed but then it would not be able to hear me because it can barely hear me now from upstairs and it might be in the basement is there anyway to connect a mic to it or is there another solution i can use to connect mic's to a pc running some software? (Shortened questions) - Is the scheduling system in the Philips Hue app reliable? I've had issues with it. Also, I'd like to have my outside lights come on at sunset and turn off at sunrise, but this doesn't seem possible. And, the Hue Motion Sensor seems limited. I can only select "Turn Off" or "Do Nothing" once the "no motion activity" timer expires. Can the lights resume their previous setting? Aug 3 Q&A: Home Automation - June 2017 - Mesh Networking and more! 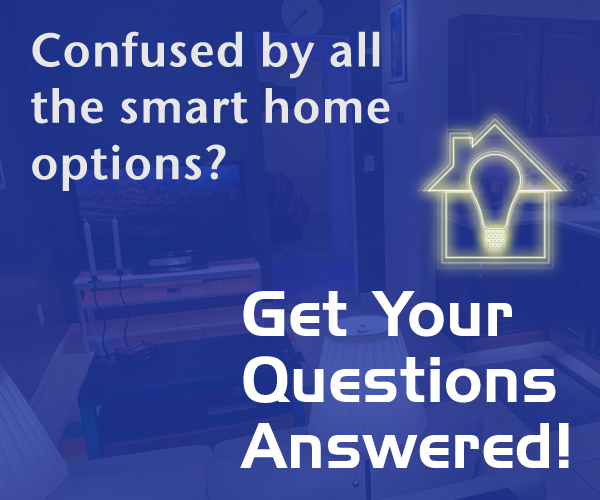 Aug 22 Q&A: Home Automation - July 2017 - HomeKit, Dimmers and more!